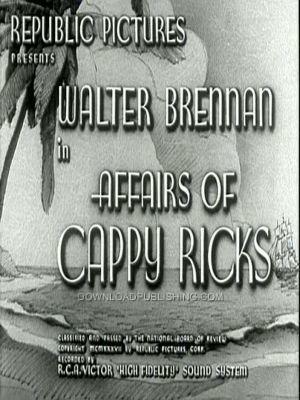 Cappy Ricks, a rich old man, who is Owner of the Ricks Navigation Co. spends most of his time on long overseas business trips. Arriving home from a long voyage abroad, he discovers his daughter is about to marry a good-for-nothing, and his mother has bought up 51 percent interest of the family business and is set to merge with a rival company. Cappy takes them on a weekend Sailing trip on his Yacht in the hopes that they will all come to their senses. Frank Shields...............Waldo P. Bottomly Jr.
William B. Davidson.........Waldo P. Bottomly Sr.